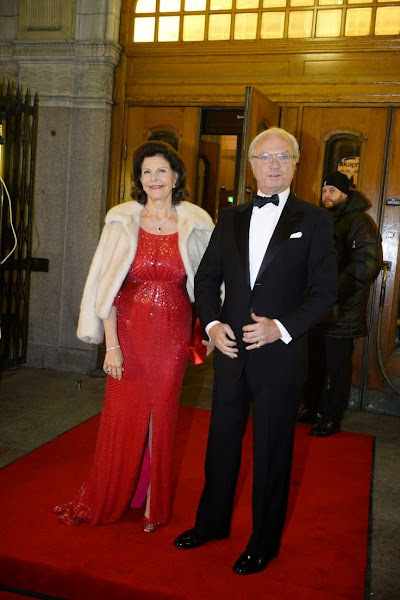 Members of the Swedish Royal Family attended a gala performance at the Oscars Theatre for celebration of Queen Silvia’s upcoming 70th birthday on December 23. 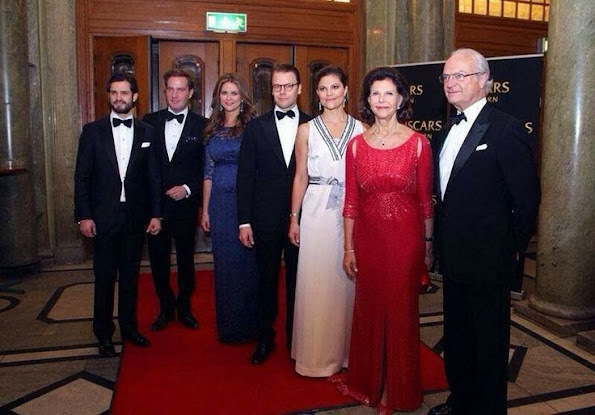 The evening's artists took part to recognise The Queen's commitment to vulnerable children. 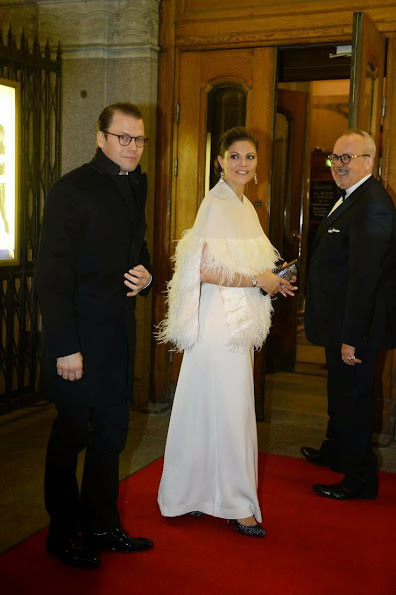 The Master of Ceremonies was Lill Lindfors, and the performers were Lena Philipsson, Tomas Ledin, Peter Jöback, Hanna Lindblad, Rennie Mirro, Karl Dyall, John Lundvik, Simone Moreno, Poplabbet, BASE23 and the Junior Academy. "Those of us who have taken the initiative for the Care About the Children foundation would like to congratulate Queen Silvia, and to thank her for all she has done — and continues to do — for children around the world," said Olof Stenhammar, Chairman of Queen Silvia's Care About the Children Foundation. "We want to give her the opportunity to help even more children, and every donation is welcome, no matter how large or small." The aim of the foundation is to support clearly defined Swedish and international projects that enable vulnerable children throughout the world to feel security and joy during their childhood. CP Victoria's dress looks so much better without the feather cape.